Don't you wanna' grab one of those NOW??! Fizz drinks are so simple to make. The basic recipe is sparkling water, juice, ice, herbs (optional) and sweetener (optional). 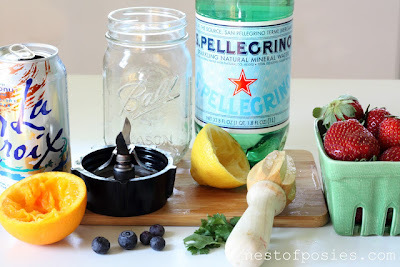 But when you let guests crush their own fruit and herbs, and choose their favorite juice to make it, the whole idea takes on a whole new form of entertainment! 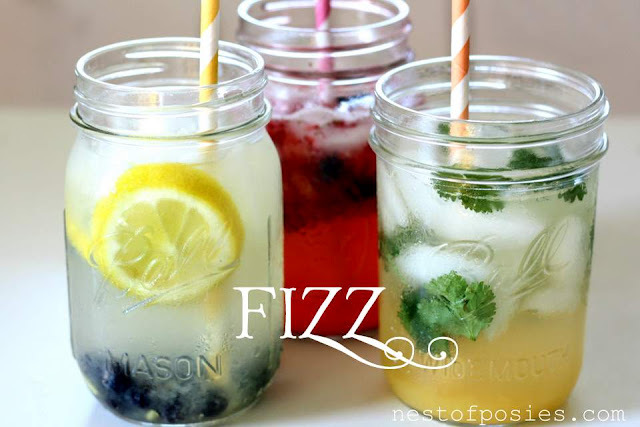 Visit Nest of Posies for her Fizz drink ideas and recipes. And why wait for a party? With this great weather we're all having--invite neighbors over this weekend for one! Have a happy!